Linda R. Johnson (nee Fitzpatric), 76, of Sheffield Lake, died Tuesday August 7, 2018 at Lake Pointe Health Care in Lorain after a long illness. She was born September 15, 1941 in Millersburg and had resided in Sheffield Lake since 1969 moving from Holmesville. Linda graduated from Waynedale High School in Apple Creek in 1960. She worked at Citizens Home & Savings on Broadway Avenue in Lorain as a bank teller and teller supervisor until her retirement. Later, she worked at Horizon Day Care Center in South Lorain in food preparation for the children. Linda loved music, had a wonderful singing voice and played the piano. She enjoyed dancing with her husband Vernon. She was a member of VFW Post #8686 in Sheffield Lake. 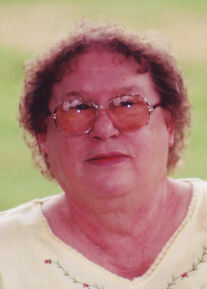 She is survived by her daughter Pamella Johnson of Avon Lake; grandchildren: Chris Frank of Sheffield Lake and Jessica (Larry) Ward of Lorain; great grandchildren: Hailey Frank, Elliot Ward and Elijah Ward, all of Lorain; brother Dennis Fitzpatric of Millersburg; nieces: Tracie Posten and Erin Fitzpatric, both of Wooster and son-in-law Frank Rigo of Lorain. She was preceded in death by her husband Vernon Johnson in 2002, daughter Deborah Rigo, son Kevin Johnson and parents Melvin & Doris Fitzpatric (nee Vincent). The family will receive friends Friday August 10th from 5:00-8:00 pm at the Gluvna-Shimo-Hromada Funeral Chapel, 3224 Broadway Ave, Lorain. Funeral services will be held Saturday August 11th at 11:00 am in the funeral chapel. Burial will follow at Ridge Hill Memorial Park in Amherst Twp.